The Boeing Frontiers article provides some aspects of production/manufacturing that makes efficient scheduling so challenging. Note that the items discussed, including tooling, scaffolding, people, the changing amounts of physical space during production all have to be modeled and intelligently optimized to maximize the efficiency of aircraft production. Aurora is the world’s most efficient system for maximizing the throughput of production/manufacturing environments due to its ability to optimize the utilization of limited human and non-human resources, and all the interacting constraints. 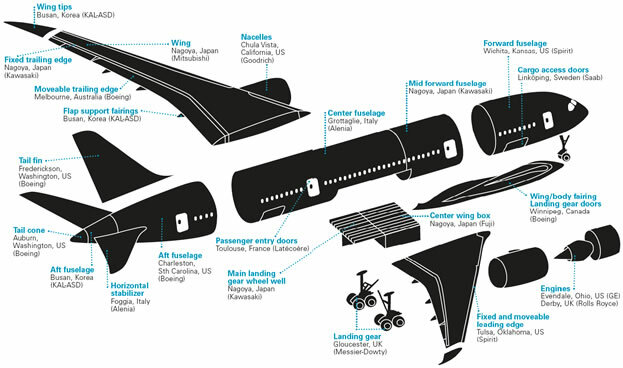 View the Boeing Frontiers article. Founded in 1988, Stottler Henke Associates, Inc. applies artificial intelligence and other advanced software technologies to solve problems that defy solution using traditional approaches. The company delivers intelligent software solutions for education and training, planning and scheduling, knowledge management and discovery, decision support, and software development. Stottler Henke’s clients include manufacturers, retailers, educational media companies and government agencies. In 2006, Stottler Henke was the subject of a NASA “Hallmarks of Success” video profile for its work developing and later commercializing advanced planning and training software systems. Stottler Henke received a 2004 “Brandon Hall Excellence in Learning” award for innovative technology. For the past four consecutive years, Stottler Henke was named one of the “top 100” companies making a significant impact on the military training industry by Military Training Technology magazine, and in 2005 received a Blue Ribbon recognizing it as a company that leads the industry in innovation. Web: https://www.stottlerhenke.com.